Brummie comedian Barbara Nice raised smiles as well as funds in Kings Heath by helping a local charity celebrate the opening of its new furniture shop. 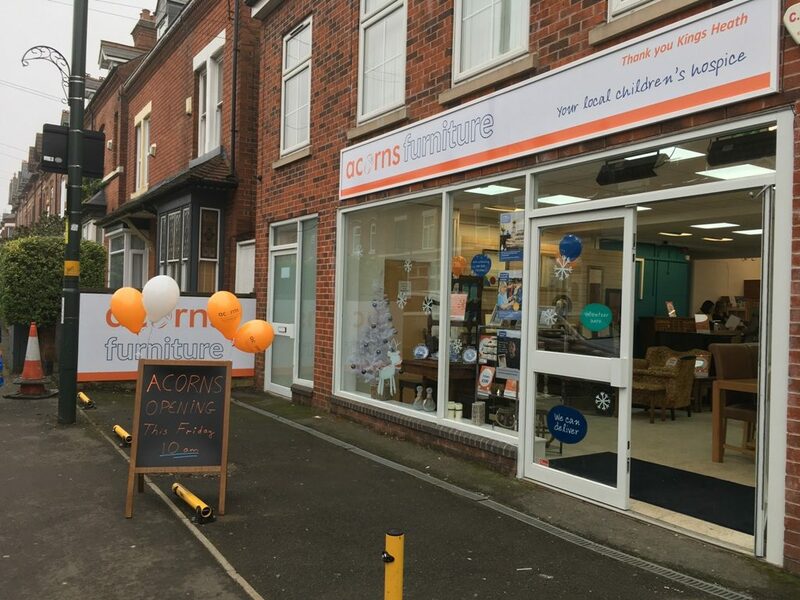 Acorns Children’s Hospice, which has operated an existing shop on Kings Heath High Street for 30 years, doubled its presence in the popular shopping destination with the brand new shop in Addison Road. 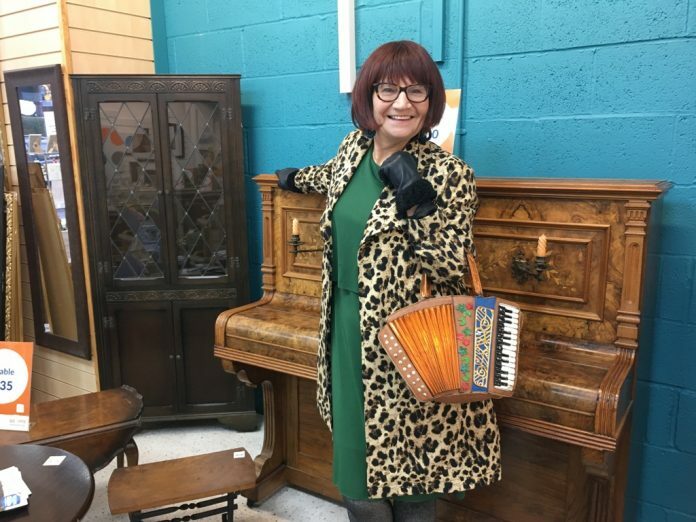 ‘Mother-of-five’ Barbara, the creation of talented writer, performer and comedian Janice Connolly BEM, was on hand on Friday (23/11) to cut the ribbon officially opening the new store, which offers pre-loved furniture and homeware. Barbara was joined by staff, volunteers and supporters of the charity who all celebrated the shop’s opening with cake. Val Hammond, Acorns Head of Retail, said: “We’re thrilled that Janice, as her wonderful character Barbara Nice, was able to join us for the opening of our second shop in Kings Heath. Acorns has over 50 shops on high streets across the region raising money towards the £10 million per year the charity needs to continue its work providing vital care for life limited and life threatened children and support for their families. The charity’s shop on King Heath High Street offers good quality clothing, shoes, toys, CDs and DVDs, while the new Addison Road store has the pre-loved furniture and homeware at bargain prices. Donating good quality items is a quick way to support Acorns and all profits made go directly back to the charity. Despise having a bio! Founder of B14 News dedicated to providing factual and straight to the point local news. Founded in 2012 B14 News is a community driven news website providing updates for the B14 postcode and surrounding areas.